Terrell Daily Photo: On your mark, get set......wait. The 5K runners lined up for the start of the Too Hot To Handle race yesterday morning. The weather was unseasonably nice. Low 70s, overcast, with a few sprinkles. 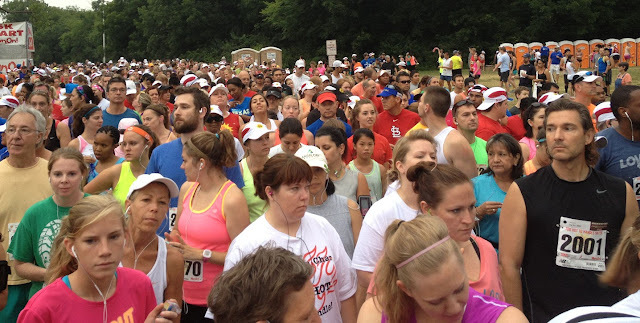 Over 2500 runners ran in the 5K and 15K races. Noticed the guy in the St. Louis jersey, Cardinals fans are everywhere!